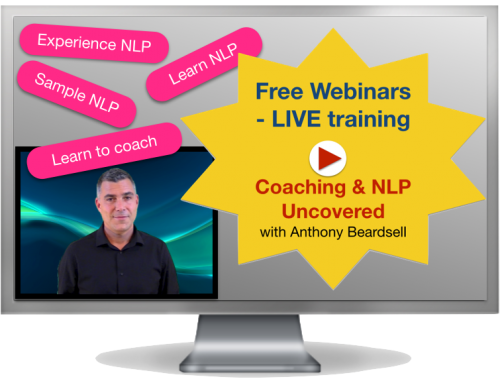 Welcome to the fourth part of our NLP and coaching uncovered webinar programme. 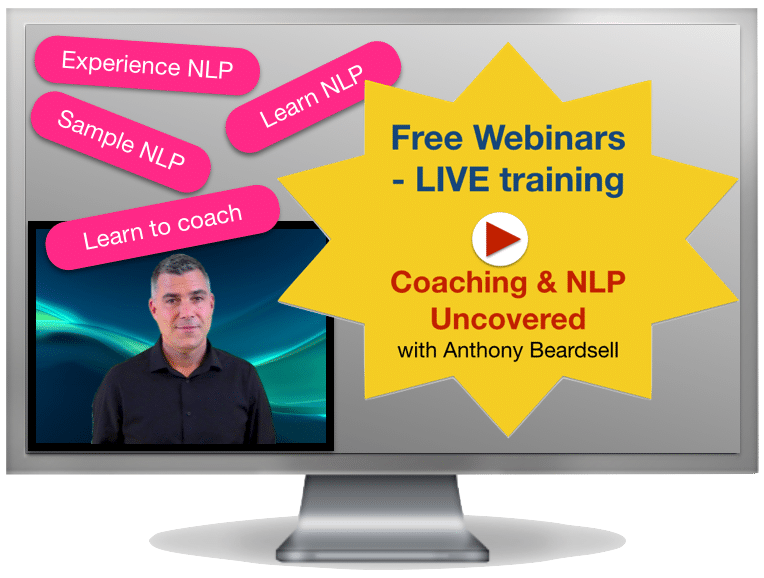 In this series we are uncovering some of the secrets of NLP and coaching and for this particular webinar we are going to be concentrating on the subject of Confidence and how to build confidence using techniques from NLP. 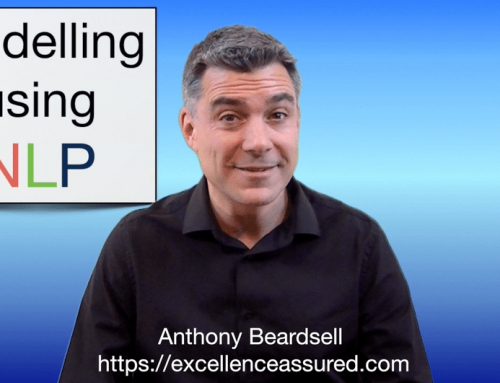 So, how using NLP can help you gain and build confidence. Having confidence is really useful, isn’t it? People generally associate being confident with being good at something, and it can be really valuable to be good at something that others are willing to pay you for, can’t it? Confidence is also associated in our minds with influence and even power, people tend to gather round the most confident person in the room don’t they? Confident people tend to hold an audience and that gives them an element of power. Likewise being confident can win you friends, we seem somehow drawn to confident people. If you are helping other people and you come across as confident then it will help build trust and when people trust you then you can get great results with them. It can act like a transfer of confidence, which is one of the reasons that it can be an attractive trait for you to have. For all the same reasons having a lack of confidence can be a real hindrance in life. It will lead to you staying in your shell, in your comfort zone, it will tend to limit your achievements, limit your horizons, your earning potential and can lead to people downsizing their objectives and goals. We are going to look today then at how you can build confidence. We are going to look at how you can gain confidence in yourself and how using some techniques from NLP you can help others gain confidence in general and in specific circumstances in life when they need it most. Does that sound useful to you? I hope so. NLP contains a series of techniques and processes that anyone can use to get more of what they want in life and also to help solve some of life’s little problems. We are going to look at some of those processes and techniques today and I will talk you through some exercises that you can use for yourself. I hope that this will serve as an introduction to NLP and show you how useful it can be. If you enjoy what you learn today it is my hope that you will want to learn more and perhaps take one of our NLP training courses. Let’s get straight into it then. I’m not sure if you have noticed it or not but you will have an overall level of confidence that you associate with yourself. Perhaps you have noticed it or maybe you will notice it now when I mention it. So just consider that for a moment if you would. Are you generally a confident person or not? If I were to offer you a scale of one to ten where would you place yourself on that barometer of confidence? Despite what some people may think I spent much of my youth feeling not so very confident. I’ve thought about this and certainly my confidence improved in situations where I felt in control, where I was using skills that I considered good, where I was able to demonstrate that I was good at something. Most of the time though I was not very confident. I have friends who always appeared confident, no matter what they were doing or where they were they always gave off that air of confidence. So were they any different to me? No. They had a similar upbringing, they had similar skills and interests, they just lived life with a higher overall level of confidence. How could this be? What is it then that determines our confidence? How can you get some more of it? Sit back and enjoy the video. I would be delighted to hear your thoughts or answer any questions that you may have on this video. Please leave a comment below. What questions do you have? 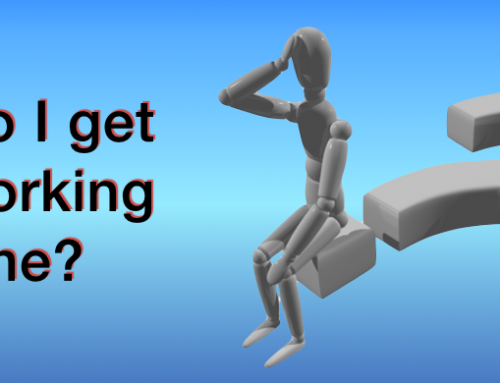 Do you feel more confident after doing the exercises in the video? Did it improve your confidence barometer reading? How do you think that you can use these tools to help yourself and others? If you would like to learn NLP to build confidence to or help others then please have a look through our NLP training courses to find the one most suitable for you.